“I just go down the line, and if there is a name that appeals to me, that is the one I punch,” he said. The names of Latinos, Italians, Polish, Greeks and Irish are most appealing to him because those are the ethnicities of his former classmates or his neighbors. “I pick them because I mostly associated with them,” said Hernandez, a 74-year-old housekeeper from the Near West Side. “I guess because I am female myself,” Nunez said while having pizza with her mother at a downtown restaurant. She has seen political candidates campaign door-to-door and hand out election brochures. Still, she said, she does not get enough information about judges. Most voters don’t know much about judicial candidates and judges seeking retention, experts said. As a result, voters might skip over judicial races on the ballot or select candidates based on their last names or gender. Some said such arbitrary choices undermine the quality of the judicial system. Judicial candidates don’t campaign like candidates for other elective offices, and there are many more of them on the ballot. And judicial evaluations can be hard to find or misunderstood. After reviewing results of judicial races in primary elections dating back to 1994, The Chicago Reporter has confirmed what many have long suspected–that candidates with Irish-sounding names and women usually fare well. More than 86 percent of judges elected during that period were either women or had Irish-sounding names, according to the Reporter’s analysis. Women beat men in six of eight head-to-head judicial elections during that span. Candidates with Irish-sounding names won three of five contests pitting a candidate with an Irish-sounding name against one without. “The problem for people voting for judges is they are voting for people they don’t know,” said Linda Lu, president of the Asian American Bar Association of Greater Chicago. She said that it would be difficult for voters who are not in the legal profession to know the attorneys running for judgeships. In this year’s March primary, 791,605 Cook County voters cast Democratic ballots, with more than 94 percent of them selecting a candidate for governor. But no judicial race attracted more than 71 percent, according to the Reporter’s analysis of election data. Similarly, for Republicans, 189,246 voters cast ballots with almost 97 percent selecting a candidate for governor. But 71 percent of the ballots included a vote in the party’s only countywide judicial election, for a vacancy on the First Judicial District of the Illinois Court of Appeals. Just 5 percent of Cook County voters said they had a “great deal” of information about circuit court judicial elections in the March 1998 primary, according to a phone survey of 306 voters that year conducted for the Chicago Bar Association by the Metro Chicago Information Center, a nonprofit research firm. Nearly two-thirds said they hardly had any information, or none at all, according to the survey. And of the voters who reported that they skipped the judicial races altogether, 93 percent said they did so because they did not have enough information or didn’t know any of the candidates. Of 118 Illinois judges participating in a national judges survey at the end of last year, 91 percent were concerned that judges were not elected for their qualifications because voters know little about them, according to the study by the Justice at Stake Campaign, a Washington, D.C.-based organization that works with more than 30 national associations advocating for fairness in the courts. “People are simply selecting candidates based upon their names, without any real knowledge of their qualifications,” said Gino L. DiVito, who served 12 years as a Cook County Circuit Court judge and eight years as an Illinois Appellate Court Justice before retiring. Chicago’s major newspapers began highlighting the phenomenon after five incumbent judges lost to unknown candidates with Irish-sounding names in 1984. Experts say that candidates with Irish-sounding names have usually won in Cook County judicial elections ever since. Some candidates have even changed their names to take advantage. Some say the Irish-sounding names do well because of the political power and history of powerful Irish politicians in Chicago. Also, heavy publicity of candidates with Irish-sounding names by the Irish American News, a Chicago monthly, helps generate support from the city’s Irish community, said Malcolm Rich, executive director of both the Chicago Council of Lawyers, a bar association focusing on legal reform, and the Chicago Appleseed Fund for Justice, a social justice research and advocacy group. Others said some names do well because they’re very familiar, like Nixon and Kennedy, not because they’re Irish. 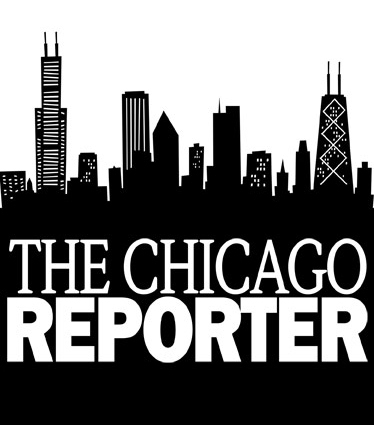 The Reporter examined every contested primary election for appellate and countywide circuit court seats in Cook County since 1994. Women or candidates with Irish-sounding names won 63 of the 73 races in which they appeared on the ballot, the analysis shows. All nine winners of contested races in the March primary were women or had Irish-sounding names. In the 2002 Democratic primary for Judge Thomas R. Rakowski’s appellate court vacancy, James Fitzgerald Smith beat William D. O’Neal, Thomas H. Fegan and Roger G. Fein. Smith got 182,186 votes, and O’Neal finished second with 161,318 votes. Fein and Fegan finished a distant third and fourth with 123,302 and 94,101 votes, respectively. Smith received seven “not recommended” or “not qualified” marks among his evaluations from 12 Chicago-area bar associations. O’Neal received eight unfavorable marks. But Fein, who was slated by the Democratic Party, received one unfavorable rating and Fegan, who is Irish, got approving marks from every bar group. Slated judicial candidates are supported by a committee of party leaders. Beating them is not an easy task, according to a Chicago Council of Lawyers’ unpublished analysis of judicial candidates from 1988 to 2000, which shows slated candidates won elections for vacant judgeships 72 percent of the time. In addition, Smith was reported by the Chicago Sun-Times to have run for judge in 1992 as “James G. Smith” but then ran as “James Fitzgerald Smith” in 1994, when he was elected to the bench in a subcircuit race. Smith did not return repeated phone calls from the Reporter. Mike Tierney, Smith’s campaign manager since June, said Smith added “Fitzgerald” to his name to eliminate confusion with another James G. Smith who had declared bankruptcy and was being sought by several creditors. He said Smith received numerous calls at his home regarding the finances of the other James G. Smith. “I thought it was no longer an issue,” Tierney told the Reporter. In the general election in November, Smith will face former Cook County Circuit Court Clerk Aurelia Marie Pucinski, a former Democrat who ran unopposed in the Republican primary. She had eight unfavorable bar ratings. Qualified or not, some judicial candidates are well aware of the name game and say it’s important to play. “If that is what voters are responding to, you owe it to yourself to give yourself the most attractive name that you can, especially if you can’t get slated by the powers-that-be,” said Bonnie Carol McGrath, an attorney, with an office downtown, and a columnist for the Chicago Journal, a weekly covering downtown and the Near West Side. In 1998, McGrath ran as a Republican candidate for a Cook County circuit court judgeship. Under the advice of her election lawyer, former Chicago Board of Election Commissioners Chairman Michael E. LaVelle, McGrath dropped “Carol” and replaced it with “Fitzgerald” even though it was neither part of her name nor that of anyone in her immediate family, she said. She won the primary but lost in the general election to James Patrick McCarthy. According to the Chicago Lawyer, by March 1998, LaVelle had advised as many as 15 candidates to change their names to better their chances in judicial elections. LaVelle did not return calls. In the 2000 Democratic primary, McGrath ran again for a countywide seat, this time with “Carol” as her middle name, dropping “Fitzgerald.” She finished second among four candidates with 80,578 votes. Francis Joseph Dolan won the primary with 144,802 votes. About 36 percent of voters in the 1998 Chicago Bar Association survey said they relied a “great deal” or “some” on a candidate’s ethnic background when voting in judicial elections. One third of voters said they relied a “great deal” or “some” on a candidate’s gender, according to the survey. According to the Reporter’s analysis of the past five primary elections, women won six of the eight races in which one male and one female were running for a seat. McGrath said voters tend to lean toward women because “they are perceived as the honest and straightforward new kids in town” who lack a history of corruption. In 1998, she avoided judicial races against other female candidates. Between November 1987 and January 2001, former City Treasurer Miriam Santos was the only woman among the 18 Chicago elected officials convicted of federal crimes, according to a Reporter investigation. A federal appeals court later overturned her conviction. Cicero Town President Betty Loren-Maltese has been the area’s only other notable female political figure to face federal charges. In August, she was convicted of racketeering, conspiracy and other charges in connection with defrauding the town of more than $12 million dollars. “I tend to vote for women when in doubt,” said Tom Cogan, from Logan Square, who otherwise relies on the Tribune, Sun-Times and the Chicago Bar Association ratings for direction. Karyn Bass, a 24-year-old DePaul University law student, favors female candidates and believes other women do as well. “I believe more often than not, the woman will bring to the table a broader social view,” she said. Meg Mafziger recently turned 18 and is eligible to vote for the first time on Nov. 5. “I guess I get most of my information from my parents or something in the newspaper or on television,” said Mafziger, a Lincoln Park resident. In an effort to educate voters, the Chicago Bar Association, Northwest Suburban Bar Association and the Alliance of Bar Associations for Judicial Screening-a group of 10 bar associations representing various ethnic and religious groups-organize attorney members to assess judicial candidates and serving judges. The Chicago Bar Association publishes its evaluations in a pamphlet called the “Green Guide,” which gives a brief background on each candidate’s experience. The Illinois State Bar Association posts the alliance’s evaluations on its Web site. The Black Women Lawyers Association distributes a booklet of the alliance’s evaluations to church groups and community organizations. The Women’s Bar Association of Illinois, another member of the alliance, has held press conferences to explain the ratings and the evaluation process. Several area newspapers publish their endorsements for judicial races and reprint the evaluations of bar groups. Still, a number of voters said they were unaware of such efforts. The area’s most widely read newspaper, the Tribune, publishes its endorsements on the Sunday before an election and again on the day of an election. The newspaper’s editorial board is responsible for evaluating more than 600 candidates in contested races based on their answers to a Tribune questionnaire and interviews. Elizabeth Granados-Perez, president of the Hispanic Lawyers Association of Illinois, an alliance group member, said favorable recommendations did not match with how people voted in the last primary. “So obviously people aren’t reading them,” she said. And voters rarely get information from the judicial candidates themselves. The out-of-pocket costs to campaign can make it difficult to provide every voter with a button or a lawn sign. A number of attorneys said the media doesn’t do enough to publicize these candidates. In addition, the candidates are not allowed to talk about certain topics. The Illinois Code of Judicial Conduct prohibits candidates running for judge and judges seeking retention from making statements that “commit or appear to commit” a candidate to a position on controversies that may arise in future cases. This would include sharing opinions on issues like gun control, abortion or flag burning. “I don’t think they are limited in letting you know their position in terms of their neutrality, in terms of their lack of bias regarding race, ethnicity, gender and sexual orientation,” said Thomas, who ran unsuccessfully for judicial seats in 1998 and 2000. Shawn Allee and Ryan McFarland helped research this article.